Despite some weakness into the first weekly close of March, the broader trend for US equity indexes remains powerfully bullish. The market should see a further wave higher into late April/early May, before the next opportunity of a multi-week down cycle. The sp'500 saw a net weekly decline of -1.6%... having hit a Friday low of sp'2067, but looks set to floor in the 2065/50 zone early next week. 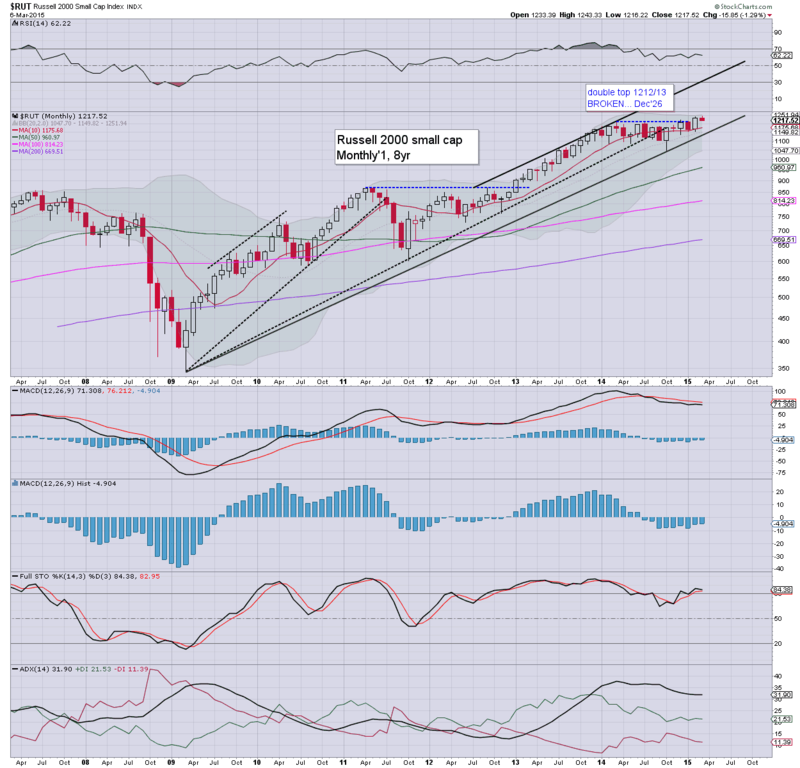 The broader monthly trend remains powerfully bullish, with a recent high of 2119. There looks to be viable upside to the 2125/75 zone by late April. First core support is now around the giant 2k threshold. Right now... the best 'doomer bear' downside case for late summer is in the 1700s, but it is extremely difficult to envision that occurring, considering the ECB QE that is set to begin next Monday. Underlying MACD (blue bar histogram) saw a bearish cross occur on Friday (hence MARCON 6), but by end month, I would expect that to return to an outright bullish 7. 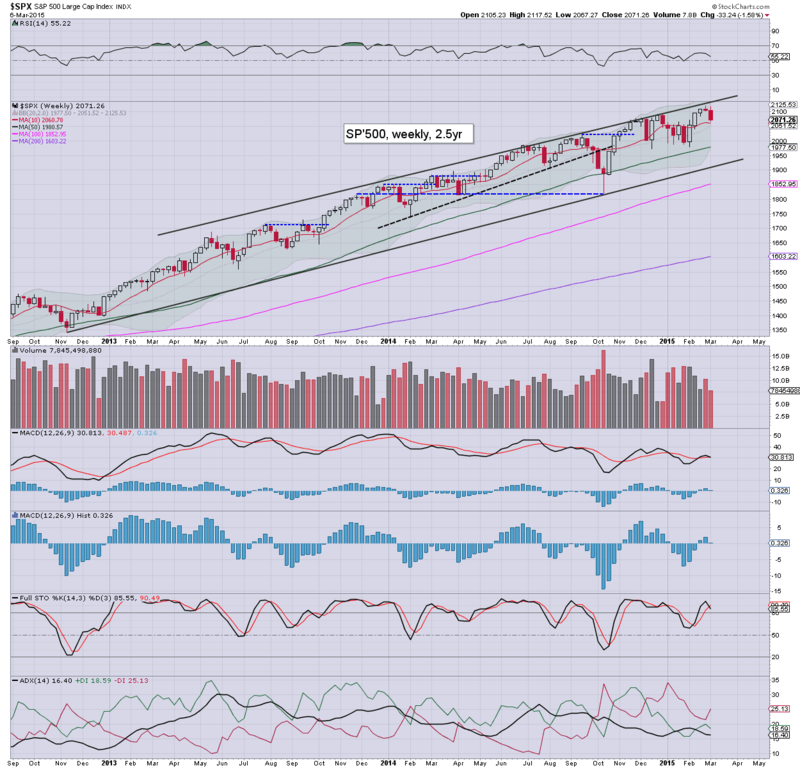 The tech' has notably hit the giant 5k threshold.. with a new post 2009 high of 5008. The historic intraday high of 5132 looks set to be tested.. and broken through.. and is certainly possible by late April/early May. 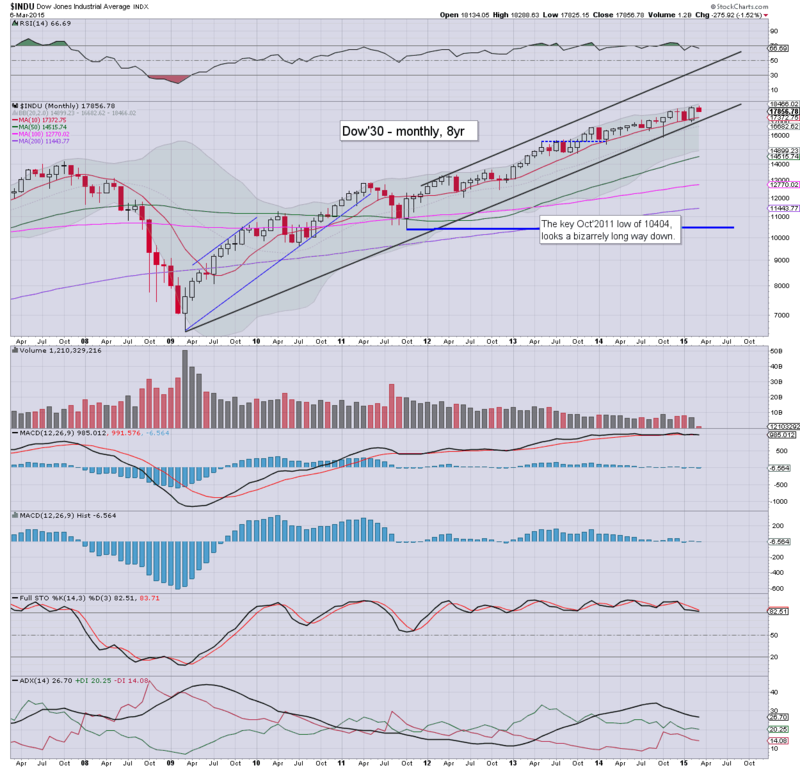 If there is a monthly close in the 5200s.. it would bode for a straight run to 6/7k into late summer. The mighty Dow has recently seen a new high of 18288. 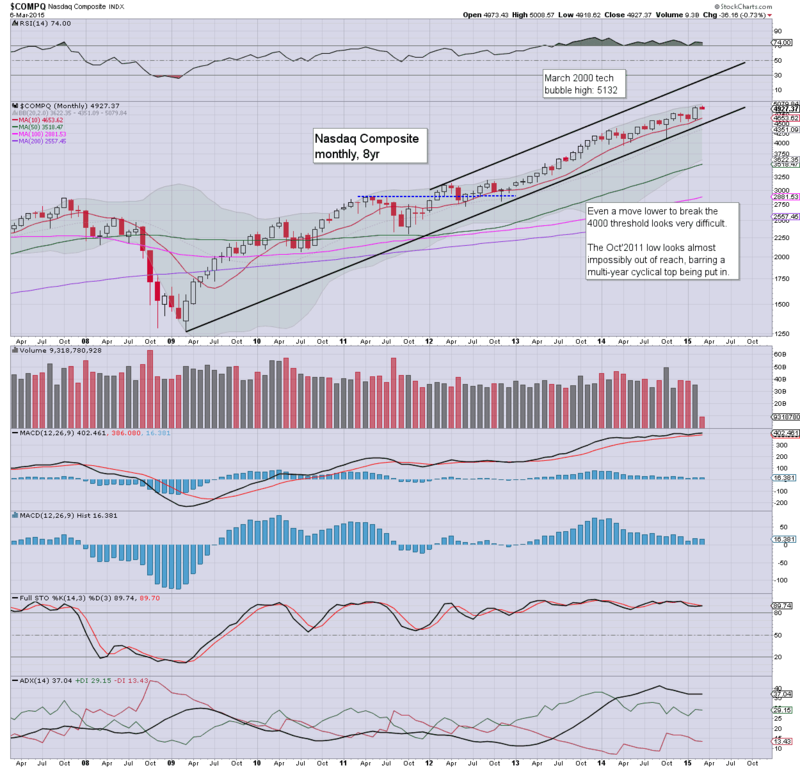 There is viable upside to the 18400/600 zone... before the market might get stuck at the seasonally weak time of May-July. Ultimate 'summer correction' would be the 15500/000 zone. On absolutely NO basis do I see a sustained break under 15k for at least THREE years... after another two years of hyper-ramp to far higher levels. The master index is lower by around -2% so far this month, but another up cycle looks due into late April/early May. First target is the 11300/500 zone. 12K looks a real stretch until late summer. The second market leader recently broke a new high of 1243.. and despite the bearish weekly close of 1217... there looks to be another wave due into the 1250/60s this April. 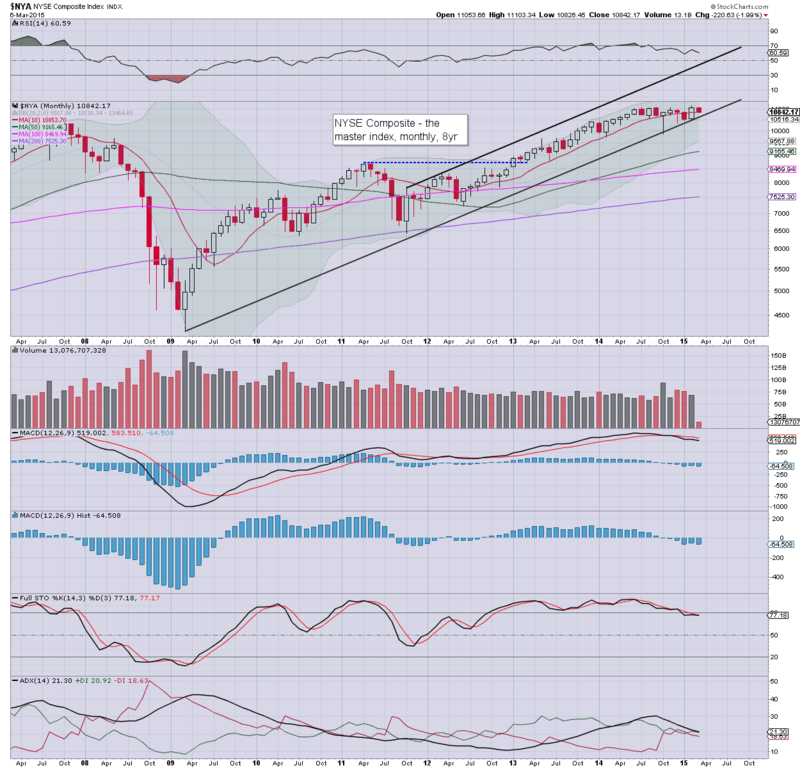 On no basis does a move under the giant 1000 threshold look viable this year. The 'old leader' continues to lag the broader market, despite still very weak oil/fuel prices. 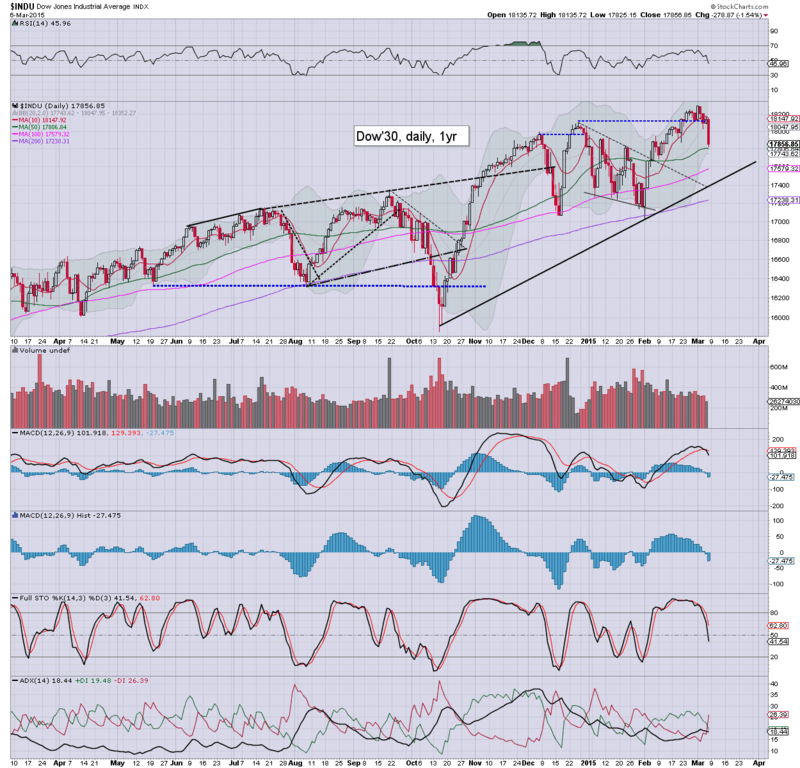 There is near term support around 8600/500s. Certainly, a move under 8k looks well out of range for some months. The giant 10k threshold is the next multi-month upside target, and that will become viable if Oil prices take out the recent $43 low. 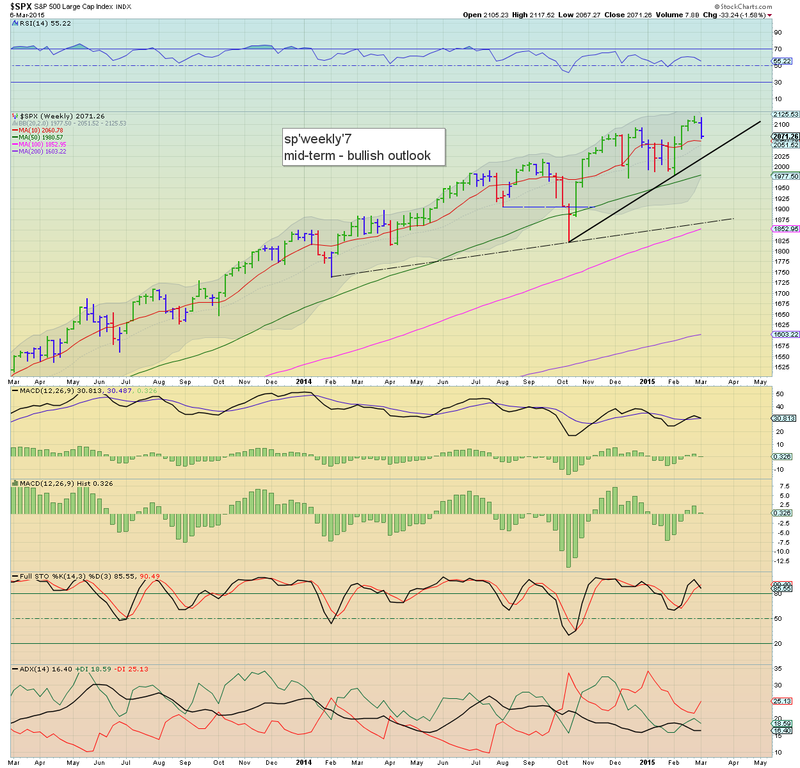 So.. .a weak start to March, but overall... the broader upward trend continues. It would seem we'll likely see another wave higher into the late spring.. to the sp'2125/75 zone. Certainly, there is a high threat of a rollover into the seasonally weak period of May-July. Next week is set to be very quiet. Most notable, the ECB will begin their QE-pomo program on Monday morning. 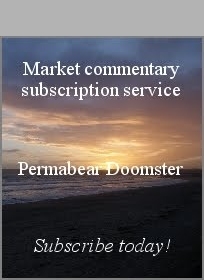 Market looks set to have a high opportunity to stabilise in the sp'2060/50s.. ahead of the following weeks FOMC meeting. 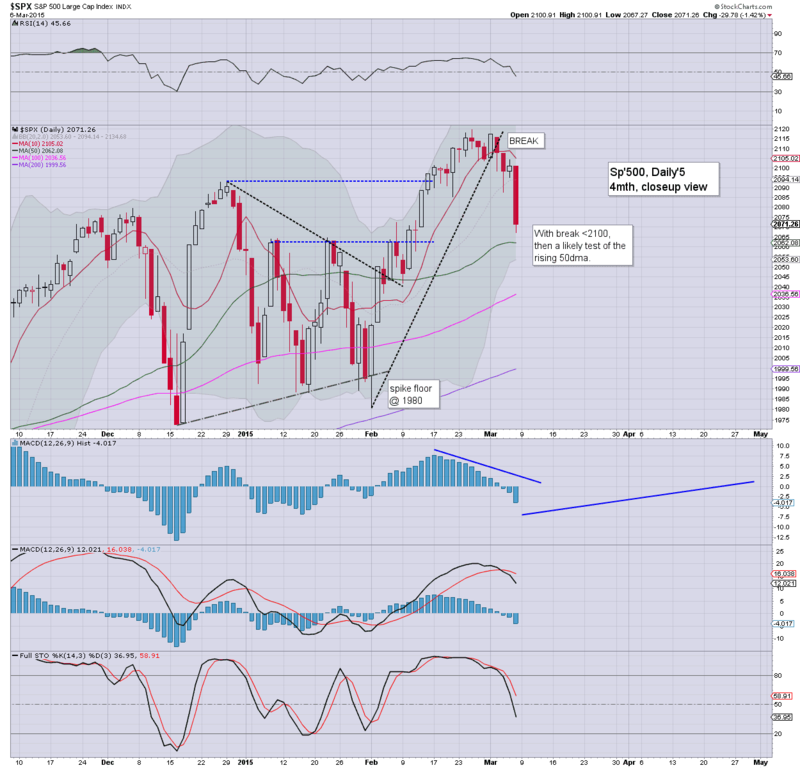 The week ended on a particularly bearish note, with a net weekly decline for the sp'500 of -33pts (-1.6%) @ 2071. 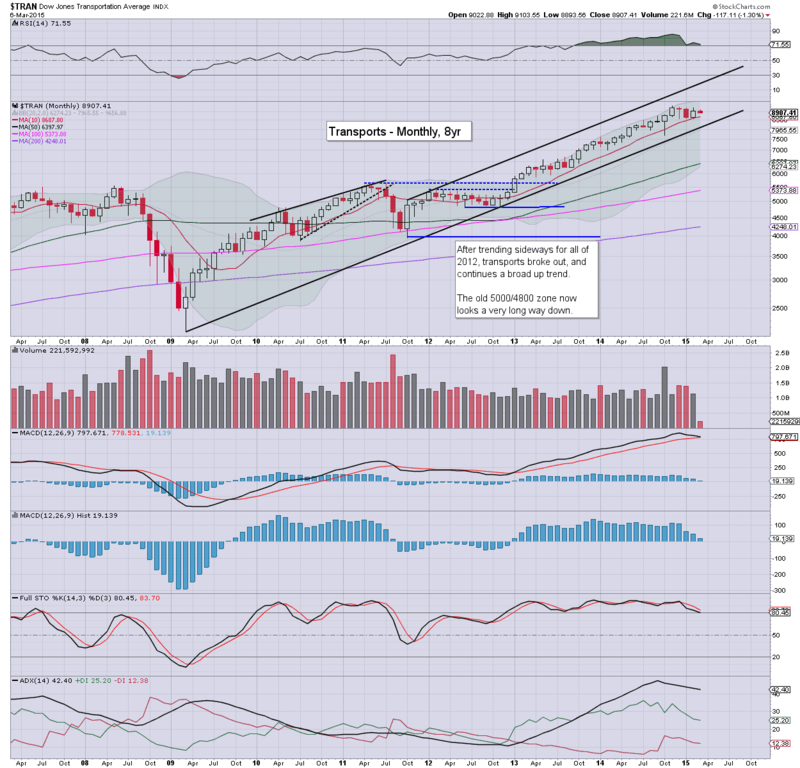 Near term outlook offers multiple aspects of support in the 2065/50 zone. 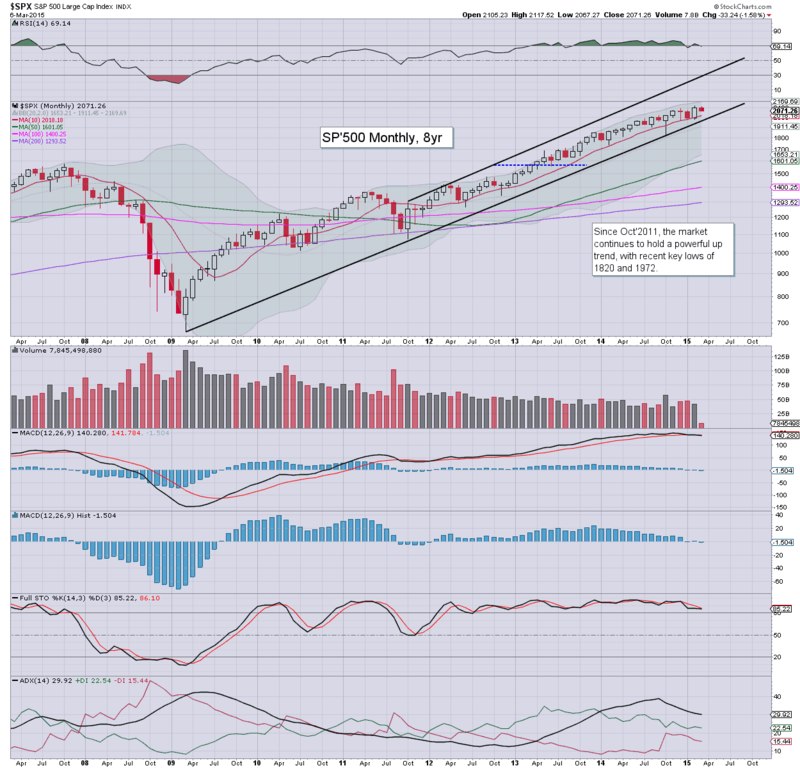 There looks to be another wave higher into end month.. and probably across much of April.. to 2125/75. *a notable blue candle on the weekly 'rainbow' chart, with the key 10MA offering first support in the 2060s. 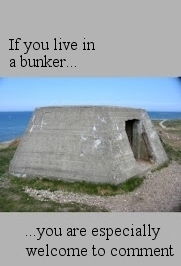 Its been a long week.... and I will leave it at that. US equities closed significantly lower, sp -29pts @ 2071. The two leaders - Trans/R2K, settled lower by -1.1% and -1.4% respectively. Original downside target is about hit, and it would seem highly unlikely that the market will see any sustained action <2050 in the near term. Suffice to say... a bearish end to the week... but very likely just a minor retrace of the sp'1980/2119 wave.